In the United Kingdom, an alternative option to attending drama school are Universities that offer Acting degrees, and we’ve spent long hours putting together a list of all Acting Universities UK just for you. Before you dig into the list, remember that the Acting Universities UK list has nothing to do with our usual rankings. 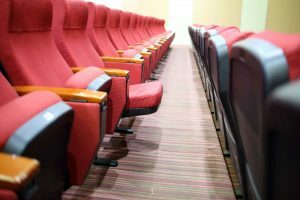 All acting Universities UK are listed in alphabetical order and we do not recommend one over the other. As a general rule on this website, we would like to take a chance and advise you for the very last time — try your luck with a drama school before you consider applying to an acting University. You might be just as good as anybody else; hell, you’re probably even better! If you want to be an actor, you have to be prepared to deal with rejection; coming to be brave enough to apply for drama school is something that every actor should go through. Now if you’re positive on going after your University degree in acting rather than give drama school a try, so be it. We wish you all the best and we hope you’ll get to where you want to be! Hopefully, the information contained on this list of Acting Universities UK will help you to get there. Aberystwyth offers a huge amount of drama related courses. Now bear in mind though, drama courses slightly differ from those labeled as acting. Nevertheless, seeing as how this University has such an amazing variety of arts based degrees, it deserves a place on Acting Universities UK list and might be worth looking into. BA (Hons) Drama provides you with an understanding of the histories, practices, contexts and theories of drama, theatre and performance. This is balanced and supported by practical explorations, the acquisition of a range of performance techniques and the creation of live performance events. An engagement with the processes and practices of theatre-making is an important and integral part of our curriculum, and develops you as confident, versatile and exciting practitioners. A very strong addition to Acting Universities UK list. This University actually invited us to do a talk for their students; unfortunately, we have to stay objective with our Acting Universities UK list. Semester Study Abroad courses are for students and professionals who wish to spend time abroad, developing their creative skills and gaining credits towards their university degree, but do not necessarily want to spend 2-3 years in another country. Students are fully integrated with our BA (Hons) students in an exciting, creative University environment. An exciting introduction to the world of theatre and performance in its widest context. Drama studies offers both single honours and combined study routes for students who wish to explore the diversity of drama as both a performance medium and as an applied subject, and that’s a good enough reason to include it in Acting Universities UK list. We currently rank 6th overall in the Guardian University League Table for Drama. When you graduate from here you could go on to join our growing list of famous alumni, pursuing outstanding careers in many fields. Our Drama graduates enjoy a higher than average rate of employability for the subject, with 95% going into work or study within six months of graduation. The professions they enter include acting, theatre choreography, TV production, events management and teaching at every level. The BA (Hons) Performing Arts (Top-up) allows students with relevant prior educational experience, such as a HND or foundation degree, to enter directly into the final year of the degree and gain a BA (Hons) award in Performing Arts. If you have completed our HND Performing Arts, or a similar qualification, and wish to take your studies further then this is the course for you. Even though it’s a top-up, it still appears on our Acting Universities UK list. This course is on the Acting Universities UK list because it offers you the opportunity to study Drama through practice and creative writing, as well as theatre and performance studies. We have five dedicated studios on campus as well as a number of staff and student theatre companies that perform regularly in professional theatres in Bristol. We also have master classes from distinguished organisations such as the Tobacco Factory Theatre and The Bristol Old Vic Theatre School. As a student on the BA Theatre (Honours) at Brunel University, you will become part of an energetic, dynamic and creative community of students, artists and academics. Our programme has been designed for students who aspire to work in today’s diverse theatre industry. The BA Theatre is highly practice focused and you will learn core skills in theatre making and performance while at the same time studying historical, theoretical and critical perspectives. Our teaching team of practitioners and artists are specialists in the fields of theatre, performance and live art, and you will taught in our purpose built Antonin Artaud Performance Centre, which houses a fully equipped main house and studio theatre, as well as a large suite of rehearsal and recording studios. This course consists of a number of strands. The skills strand will involved you working on classical monologues, singing, dancing, or presenting to the camera. The production strand will involve you engaging in a series of shows, from studio performances, to short films and touring shows. There is also a theory and context strand, which you’ll learn about the various ways in which performance has been contemplated. as well as developing critical and academic skills. Finally, there is the options strand, where you may specialise in an area, such as directing, alongside the performance aspect of your course. 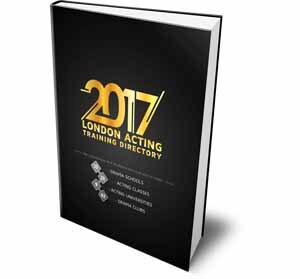 General topics covered include; voice-work, acting and directing styles, script analysis, performance theory and presentation skills. All the components of this core training are fully integrated into public performances and augmented with theoretical and contextual studies. In this way, as well as developing the contemporary actor, the course aims to develop the creative potential of each individual further so that they can maximize their engagement with the huge variety of social and educational opportunities they will encounter while at this most lively, vibrant and multi-cultural University. Another one of the Universities that we have been invited by and are sad not to be able to advance their position on the list of Acting Universities UK. The course is intended to create more independent performers who are equally comfortable creating devised commissioned performances in unusual venues, such as a site-specific piece, as well as having the essential skills to perform on a more traditional stage. Creation of new and original work is a key element of the course without losing sight of the importance of established practitioners and their methods. We couldn’t gather a lot of information about this small University for our Acting Universities UK list, which leaves you with some research work to be done. As they describe it: Not only will you be given the opportunity to develop your skills as a performer – and have access to our fantastic on-campus theatre facilities – but you will be taught how to use drama as a way of cultivating a broad range of professional transferable skills. Our degree prepares you to face the challenges of the real world with confidence, whatever your chosen career. Always pleasant to see some northern Universities being included in our Acting Universities UK list. This degree course, validated by University of West London, is for actors who are serious about going into the profession. It is designed to give you a solid and professional platform from which you can step into the performing arts world. The emphasis is on development of high-level performance skills, supported by relevant theory. 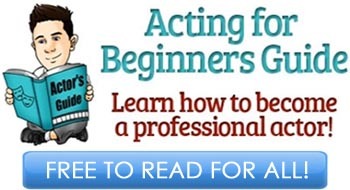 The course approaches acting through the use of both the body and the creative intelligence. It is practical and provides numerous opportunities for performance, both on stage and to camera. Outshining the Guildhall School of Music and Drama and the Royal Scottish Academy of Music and Drama in the Guardian University Guide 2012, the University’s Drama courses are renowned for their strong practical emphasis on all aspects of dramatic production, combined with the study of the theory, history and social significance of drama. The programme is designed to provide you with: The knowledge and skills to perform as an actor to professional industry standards whether in TV, Film, Theatre or Radio. Specialised skills in acting, voice, movement and singing. Transferable skills, especially in communication and self-presentation, team-work, independent research and critical analysis, which will allow you to operate successfully in a variety of fields. There’s no reason to explain why Edinburgh’s University has been included in Acting Universities UK list. 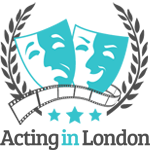 The programme recognises that actors may be called upon to perform in a variety of venues, media and styles, and will provide vocational and industry-relevant training through intensive workshops, centred on acting for stage and screen and on the craft, practice and business of performance. It will consolidate and extend existing skills and will ensure that all graduates have a secure understanding of the business they are entering. Falmouth’s Acting degree is for those who wish to focus more exclusively on developing their future as an actor and performer in contemporary devised and collaborative theatre, or for contemporary stage and cinematic contexts. If any of you have anything good or bad to say about this particular course, let us know — it will be added to our Acting Universities UK list. If you’re passionate about performance, then these this course from acting universities list is for you, whether you see yourself as a performer, theatre arts practitioner or working in the arts industry. You’ll learn acting techniques, develop your vocal range and singing skills, underpinned by theoretical study. A range of dance disciplines will be studied covering ballet, tap, jazz and contemporary, including working towards internationally recognized ISTD awards. Acting and performing for TV and theatre have always been closely linked. But you need an impressive set of skills to make sure you shine at both. Our Theatre, Television and Performance degree equips you with core skills for a life in theatre – be it on stage, in applied theatre, working within the community, or other areas of theatre and communication. It will open up career options much further beyond as well. You’ll develop public speaking skills which are second-to-none and have the managerial and organisational skills to make a difference. You will creatively explore a variety of forms, genres, conventions, theatrical and artistic movements. A wide range of performance styles will be studied. You will work with industry practitioners and professional companies on projects and the course has good links with industry. Both classical and experimental theatre projects are developed and performed. You will perform to the public and stage major productions throughout the three year programme. Even though it’s a college, it offers BA degree and that’s why it’s on Acting Universities UK list. Combining the practical and academic aspects of drama and theatre provides students with fundamental training in all aspects of practical theatrical production, acting, directing, stage management and design. It also helps to develop research and analytical skills in the context of dramatic history and theory — guaranteed a place for themselves on Acting Universities UK list. This course will help you explore new ways of thinking about yourself as a creative performer and practitioner. Over three years you’ll study various practical and theoretical approaches to Drama and Performance. 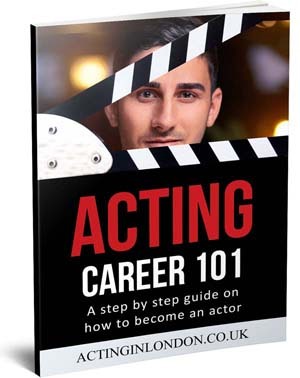 For more information on this course you can visit their website that we have provided below; it’s just impossible to write their whole description here on Acting Universities UK short-list. This programme has been designed to prepare students for work in theatre and the related mediated industries of television, film and radio performance. The course will allow students to experience a range of disciplines pertinent to today’s actor and the professional industry. The college has two theatres, two performance venues and an outdoor, covered, amphitheatre, all the theatres are used for student productions and are supported by the professional technical team. Part of Manchester School of Theatre, the BA (Hons) Acting course provides the necessary experience and skills to train as a professional actor. Accredited by the National Council of Drama Training the course is recognised for its award-winning students, many of whom go onto very successful careers with the major theatre, film and television companies. Students have the opportunity to learn from professionals and the School has strong links with many ofthe regions key theatres, including The Royal Exchange Theatre, The Library Theatre, The Contact Theatre, Oldham Coliseum Theatre and Bolton Octagon Theatre. The location of this performance course within one of the oldest Film Schools in the UK gives unparalleled opportunities for students to hone their skills both in their assessed work and by taking advantage of the many additional projects on offer. You can collaborate with fellow students in the areas of Film, Music, Animation, Photography and Fashion. Many students build up an extensive showreel for future employers consisting of their many film projects. As a teaching team we are committed to providing a creative, supportive and rewarding educational experience for all with an emphasis on one-to-one tutorials, helpful feedback, group project work and public performances. The opportunities afforded by our move to the City Campus in 2011 has allowed further expansion of the range of high quality work produced by students. 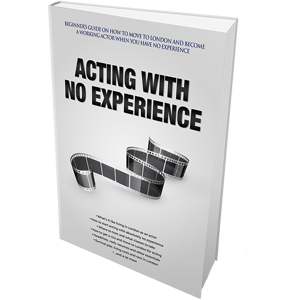 BA (Hons) Acting is a highly practical training programme required to enter the profession as a working actor. The programme is explicitly designed as vocational actor preparation, committed to conservatoire-styled training with highly experienced industry professionals. Students take part in performances and productions, work with visiting professional directors and actors, and form their own theatre companies. This is one of the interesting ones on Acting Universities UK list, because, as they describe it, this is a unique practice-based programme, concerned with the uses of drama in community contexts and integrated with the theoretical study of culture and the arts. We aim to develop our students’ creative skills to a professional level and to deepen their theoretical understanding of the different roles that drama and other performing arts can play in people’s lives. Theatre in the Community explores the roots and influences of theatre as a popular and political form. If you select this option, you will engage with methods of expression such as the body and maskwork and explore ways in which theatre may be used that are not primarily concerned with entertainment. If you believe this isn’t suppose to be on the Acting Universities UK list, please let us know why. Ever wondered why it took Leonardo di Caprio so long to die in Titanic? The answer to this question and many more is explored in drama and performance. Drama and performance is an exploration of the many processes that exist to support performance in all of its many guises. It examines the vocabulary, concepts, history and theory of the creative process. Another different example on our Acting Universities UK list. Through the study of the symbiotic relationship between practice and theory, students will gain focused performance training as well as the critical skills essential to the articulate and intellectually aware actor and theatre practitioner. The course enables students to develop the artistic and intellectual foundations for a career in theatre and related fields. The Performance and Theatre Arts major at Richmond University, London, provides students with practical acting experience and with a comprehensive knowledge of theatre history, playwriting (for stage, television and film) and current performance and theatre practices. While not intended solely as preparation for a career in acting, performance or theatre, approximately two thirds of classes are practice-based, including classes and performances at Shakespeare’s Globe and a final year showcase at a London theatre. The Department of Drama, Theatre and Performance has established an international reputation for both teaching and research, and has forged an unusually distinctive identity within the field for its investigations through cutting-edge performance practice and critical theory. We have one of the largest academic teams in the UK, with international reputations as performance makers, writers, visual artists, curators, critics and theoreticians. Our interests range across contemporary, experimental and early modern theatre, applied theatre, performance art, sound art, creative writing, and performance as social action. Some of the world’s leading performance-makers and academics are regular participants at events organised by the department’s Centre for Performance & Creative Exchange. Taught by a well-qualified group of academics and practitioners with significant industry experience, this degree combines practical and academic study of the performing arts. You will have the opportunity to develop and hone your acting, singing, dancing, writing and directing skills on stage and screen in a friendly and nurturing environment. BA Acting is Drama School training in a University context. Its aim is to prepare students for professional work in the theatre, television and film industries. By combining conservatoire-style training with university education it will not only develop your acting skills to a professional standard, but will also enhance your critical and creative thinking skills. Acting students will receive 30 hours of class contact time per week. Core classes are in voice, movement and acting technique and there are also opportunities to specialise in screen acting or physical theatre or applied theatre in the third year. These two integrated awards (this award and Theatre Studies and Technical Stage Production) give students the opportunity to engage with Theatre, Plays, Documentary Drama, Live Art, Technical Theatre, Stage Management and other theatre crafts in the context of professional theatre and contemporary performance. If you undertake the “Drama, Performance and Theatre Arts” course, then acting will be fundamental to your studies and you will also have opportunities to explore other theatre production disciplines, such as costume, settings, marketing and so-on. Students who undertake the “Technical Stage Production” course will specialise in stage management, lighting and sound but will not be required to perform as actors unless they opt to do so. It is important to stress that, whilst they are intensively practical, these are not vocational training courses. Our philosophy of actor training is founded on the development of the individual, and their growth within the practice of the ensemble. We are interested in the uniqueness of you and the development of your imagination, range, skills and technique. Once again, for more information apart the one on Acting Universities UK list, please visit their website provided below. BA Acting is an innovative and exciting undergraduate programme designed for those students with aspirations towards a career in the performance industry. The degree carefully balances vocational actor training with contextual study and the creative exploration of performance theory. The range of transferable and presentational skills is significant and applicable in a range of employment contexts. “Drama Centre has taught me that acting is not just about doing. There is a certain necessity in the knowing behind the doing: actors should and must attain an intellectual understanding of the world they are attempting to construct.” We decided to post this quote here on Acting Universities UK list instead of an actual description. For more info, just visit their website. The course is highly practical and the training is designed for those who wish to pursue a career as a performer in either live or recorded media, stage or screen. There are opportunities for public performances which will form part of the degree assessment. You are more than welcome to send us your notes and criticism to make this list better and more accurate. We might have missed a University here and there because of our try to be very specific, but we also could have not added one or two of them to the Acting Universities UK list due to them being very familiar programmes. If that’s the case, please let us know and let’s make this list even better, together. There is a new drama school on the block. Join the course and join The Electric Theatre Company. Full time. Full on training and performance.